Colour is the first thing you notice when you walk into a new room. Colours bring their own energy to a room and can determine the feel of a space. With just the right placement of colour you can transform your room, injecting your personality into every corner. Leading high-street retailer Robert Dyas has a wide variety of home accessories which will allow you to add the perfect pop of colour to your own home. You can add colour to every room, from your bedroom to your bathroom, each creating their own atmosphere. In the world of home interiors, colour psychology is argued to play a significant role in creating the mood of your home. Colour is seen as a powerful tool to create the ambiance of a room; different colours can trigger certain emotions and bring back happy memories; this can play towards creating the ideal feel to your room and allow you to express your personality to the fullest. Rebecca Waters, Head of Marketing for Robert Dyas says, “This season looks towards colour to add your style to your space. Robert Dyas has created a beautiful selection of home accessories to allow you to embrace the colours of the season. It’s all about the gorgeous hues of ochre, teamed with sultry greys and finished with sprinklings of copper and we have a wide selection to choose from. Robert Dyas small domestic appliances offer the ultimate way in which to infuse colour into a lacklustre kitchen. 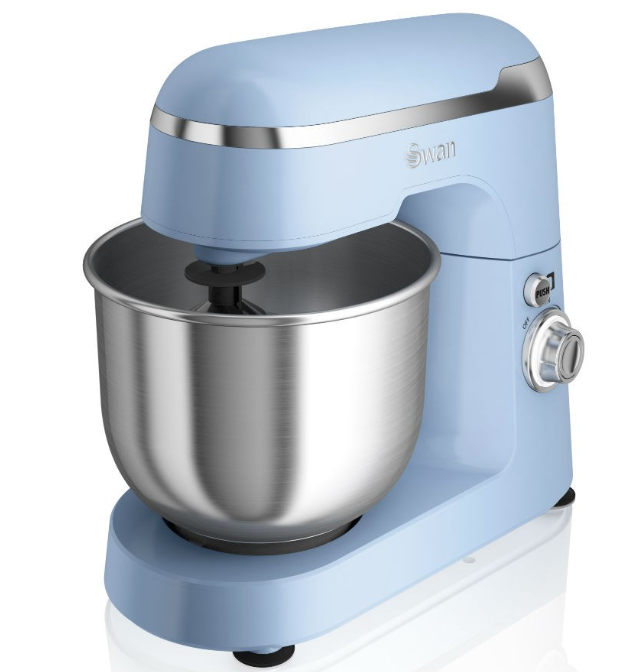 Move away from the clinical kitchen and head towards a more retro look by embracing pastel shades with electricals like this Swan Retro 4.2L Stand Mixer (£99.00). They will add the fun back into your kitchen. Keep the theme going with more accessories such as Swan Retro Hand Blender (£24.99). With the kitchen ranges you can embrace every colour, why not use a variety of colours to make your kitchen feel bigger. Products such as Tower 1.7L Traditional Kettle (£19.99) will add to an array of eye catching elements that will transport your personality to your kitchen. You don’t have to decorate your kitchen with just electricals. Cooking equipment such as the Pro Chef 4-Piece Mixing Bowl Set (£5.99) will allow you to add more beautiful brights to your space. Kitchen Storage is another great way to inject some colour into your room. 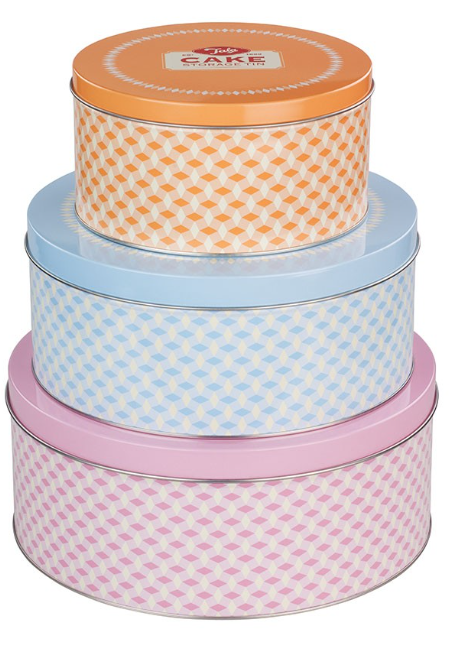 Storage such as the Tala Retro Cake Tins(£12.99) is yet another way to bring your personality to your home. It’s important to establish different ambiances in each room and with a range of throws and pillows it is easy to add different sensations in your bedroom and living room. To create a feeling of cosiness in your living room, move away from minimalist and clean lines and welcome in textures. Cushions and throws will create a new dimension to a plain sofa, the Herringbone Raleigh Throw (£13.99) will establish an element of a luxury. Team with an array of pillows such as the Gallery Two-Tone Cushion-Turquoise (£9.99) and the Gallery Two Tone Cushion-Charcoal (£9.99) to add more colour to your room. Layers will intensify your décor, look to layering up your blankets to add richness. Team Deyongs Tennyson Check Throw (£13.99) with the Taupe Gallery Flannel Fleece Throw (£9.99) to add extra extravagance. Rugs are another way in which to enhance the impression of a room. The Asiatic Revive Rug (£58.99-£144.99) will be the perfect addition to your living room to create the aura of luxury through the colour of ochre. 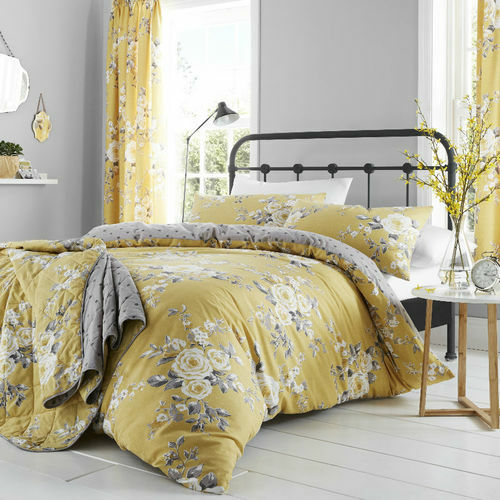 Keep in style in the bedroom with The Catherine Lansfield Canterbury Duvet Set (£11.49-£24.99). With its elegant floral pattern, the duvet enhances the lavishness and the grey-spotted design on the reverse allows you to create new layers of colour throughout your room. Finish off your room with hints of copper. 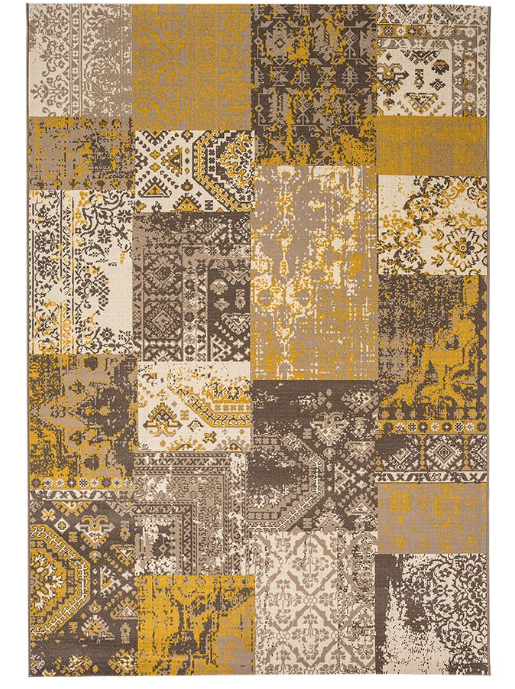 The Village at Home Vintage Floor (£64.99) will create a new eye catching detail to create the final flourish for your room. Through using Robert Dyas home accessories, you can colour your home to express your personality. No matter how blank your canvas and how low your budget you can inject your personality into your home, just think colour. Media information provided by Famous Publicity. For further information please contact Mary-Jane Rose at mary-jane@famouspublicity.com, Tina Fotherby at tina@famouspublicity.com or Joanna Mason at joanna@famouspublicity.com or call the office on 0333 344 2341. This press release was distributed by ResponseSource Press Release Wire on behalf of Robert Dyas in the following categories: Men's Interest, Leisure & Hobbies, Home & Garden, Women's Interest & Beauty, Consumer Technology, Retail & Fashion, for more information visit https://pressreleasewire.responsesource.com/about.